Hollywood regency? Art Deco? Contemporary? 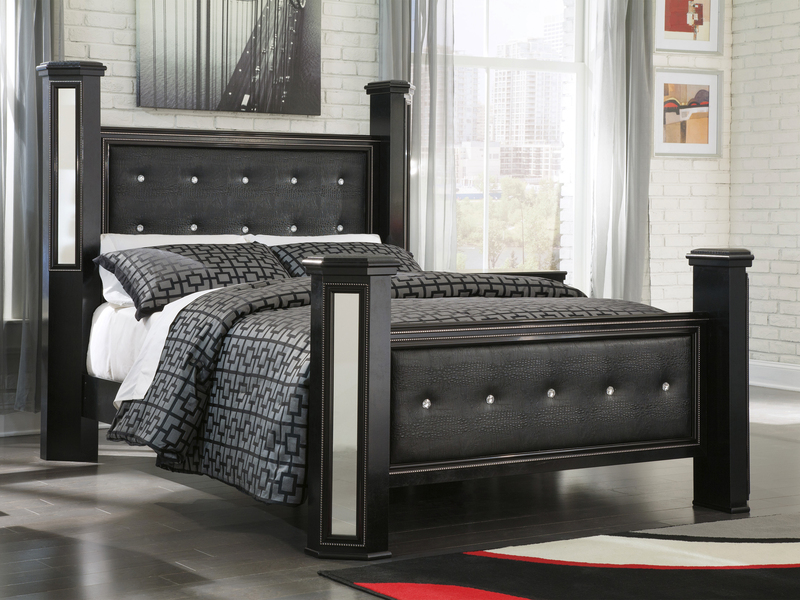 However you see it, the Alamadyre queen upholstered poster bed is all glamour. The tufted faux leather—that makes a sophisticated statement—is accented by faux crystals for just a touch of sheen. Clean, sleek lines keep the look highly tasteful. Mattress and foundation/box spring sold separately.